12198 ft (3718 m) Highest point in Spanish territory . 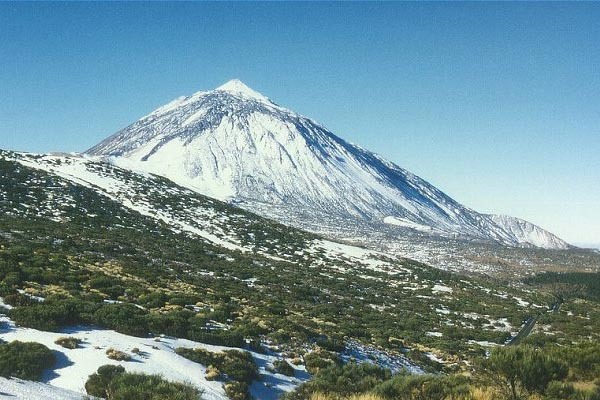 Pico del Teide is a spectacular stratovolcano rising above the island of Tenerife, the largest of the Canary Islands which lie just west of the coast of southern Morocco. All of the islands in the group are volcanic, rising up from the seafloor of the Atlantic Ocean at a depth of about 10000 ft (3000 m). Tenerife is one of the largest volcanoes in the world by volume, at roughly 4000 cubic miles (15000 cu km) it trails only Hawaii's large shield volcanoes. 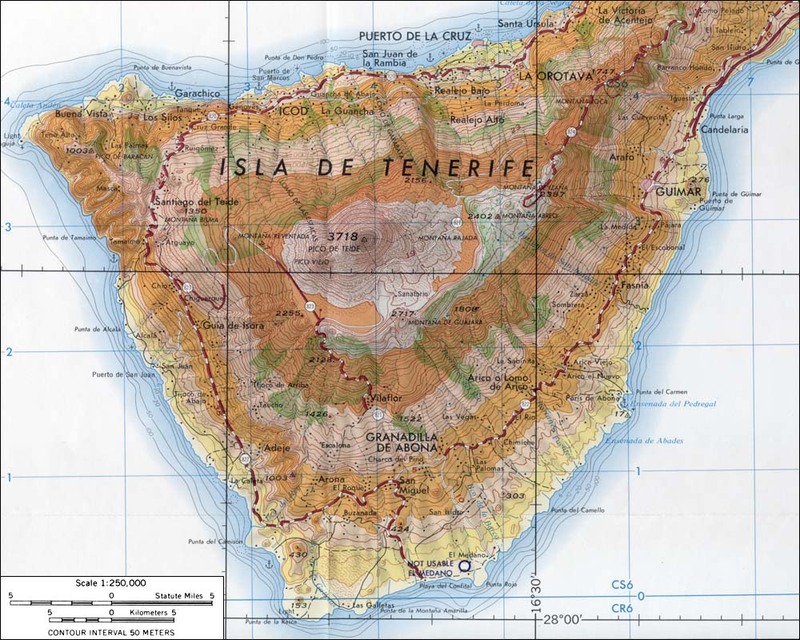 It is topped by a 10 mile (16 km) diameter caldera formed over 100,000 years ago, within which are the newer stratovolcanoes of Pico Viejo (10282 ft / 3134 m) and Pico del Teide along with numerous small cinder cones and lava flows. 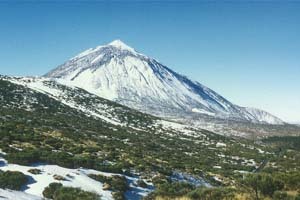 Its substantial height allows Pico del Teide to collect a moderate winter snowpack despite the relatively arid climate in the area. Road access is excellent into the national park which surrounds the mountain, and a cable car runs up to 11660 ft (3555 m) just below the summit from a parking area on the southeast side, operating in summer only. A permit is required from the national park in order to climb above the tramway station. The standard climbing route ascends a trail up the east side of the peak, and this would also provide the best access for ski mountaineering.